RailDirect is a Canadian locomotive parts supply company located in Montreal, servicing the Canadian market for the reselling of genuine General Electric Renewal parts through PSC Parts Super Centre for the Heavy Industrial, Mining and Switcher applications in Canada. Aftermarket GM/EMD and Alco Locomotive renewal parts that meet O.E.M. quality standards are also available. 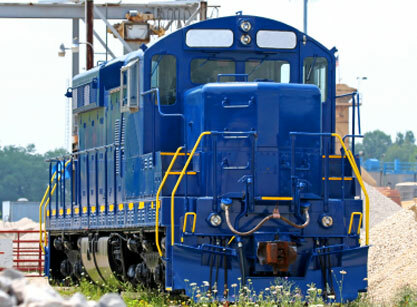 RailDirect can offer locomotive rebuilding services upon request. The Company staff brings over 25 years experience in the Industrial Locomotives and Railway markets. An extensive parts inventory is maintained of new spare parts. Rebuilt or Unit exchange of capital equipment is also available upon request. Customer service is of main importance to RailDirect. We ship directly from our Montreal warehouse, eliminating customs and brokerage delays, resulting in faster delivery and lower transportation costs.